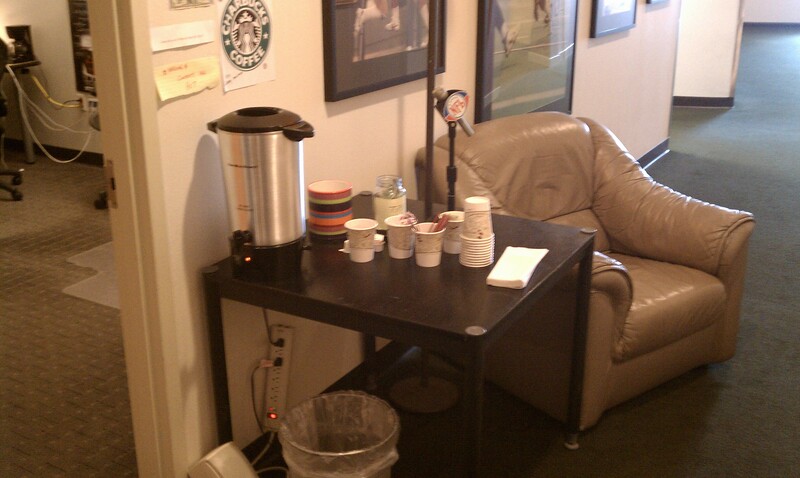 Due to certain "cutbacks," my job took all the free coffee stations out. This is the temporary station that one of my coworkers set up to replace them. tips accepted. 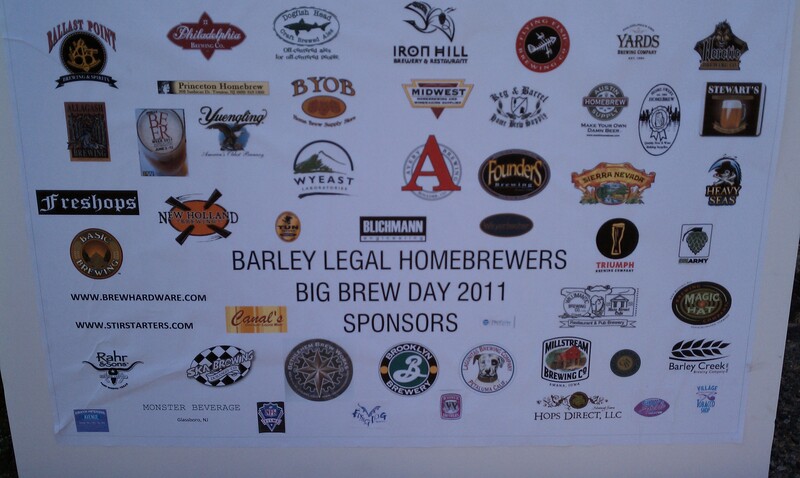 over the weekend was National Home Brew Day. Hung out at Iron Hill and drank...a lot. Didn't take too many pictures. 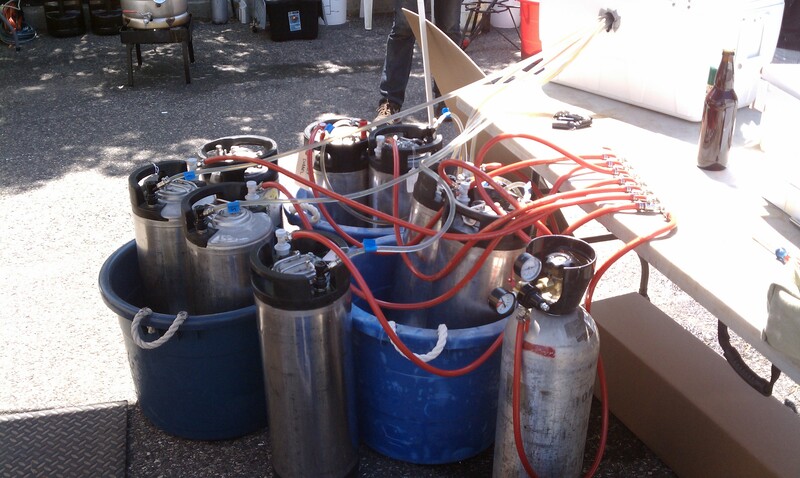 This is the eight keg system that the president of Barley Legal Homebrewers set up. Had some of his classic "thong remover." It did not cause me to take my pants off, luckily. 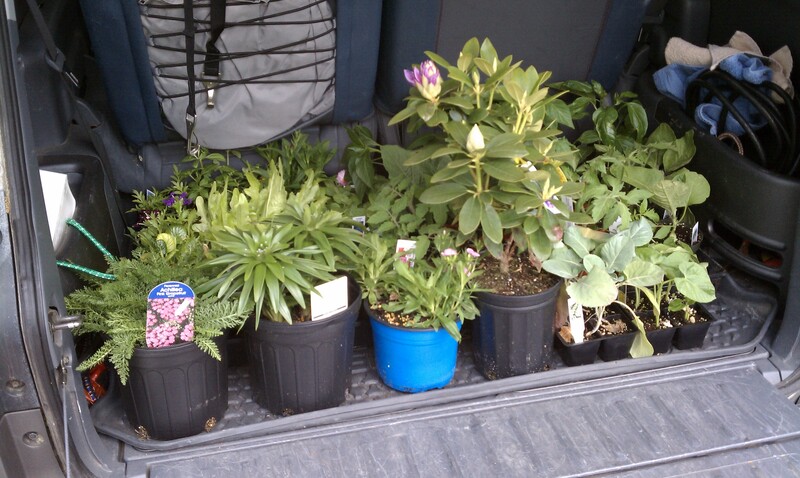 first trip to Pope's Gardens to grab some plants and start the veggie garden. 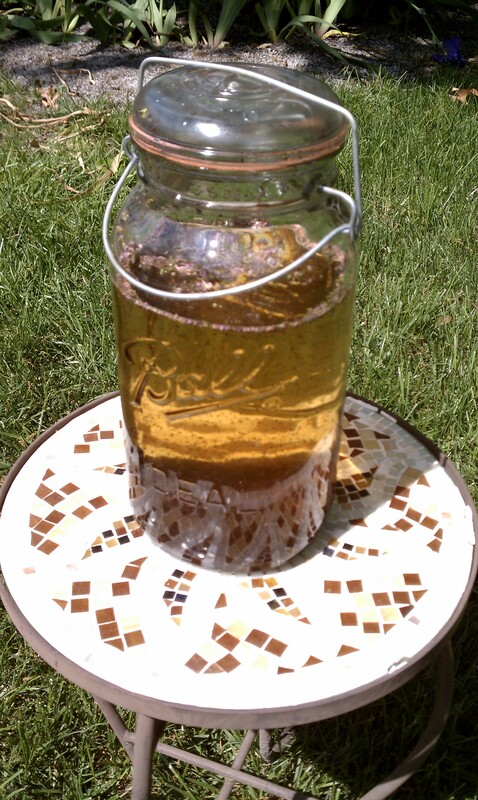 for the planting session we brewed some sun brewed tea. 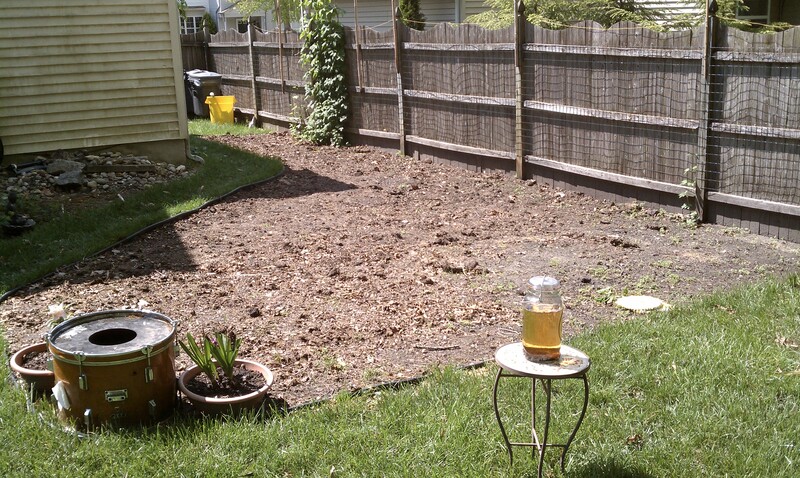 this is the garden before, post a generous dose of compost from the last year. 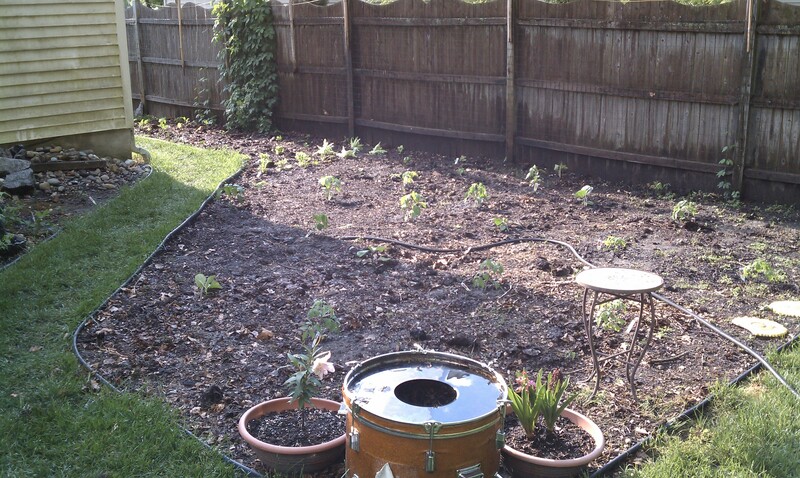 the garden after picture. not really that much to see yet. stay tuned. I guess most people take a lot of pictures of their kids doing stupid stuff and attending “fun” activities. I take pictures of my cats doing stupid things and my garden just kinda sitting there (not even having fun). But, we don’t have kids and I spend most of my time in my garden with my cats. I think we both like it that way just fine right now. 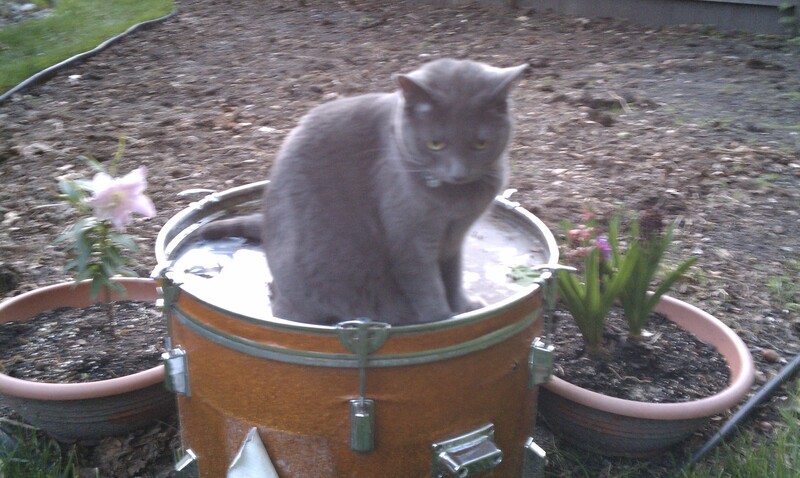 This entry was posted on May 10, 2011 at 11:28 AM and is filed under Daily Pictures with tags Beer, cats, homebrew, nfl films, vegetable garden. You can follow any responses to this entry through the RSS 2.0 feed. You can leave a response, or trackback from your own site.